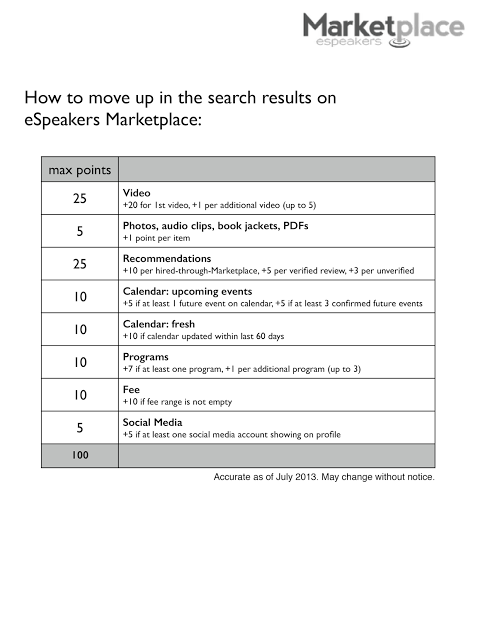 We call it eSEO or the eSpeakers algorithm. It’s how you get ranked higher in directory search results. If you know the algorithm, you can raise your rank and more buyers notice you. What’s your eSEO score?